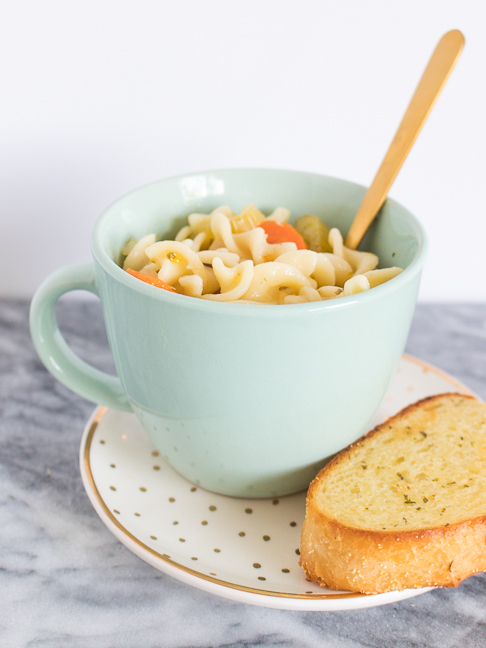 This meat-free take on chicken noodle soup is a great feel-good soup for anyone, and the spiral noodles are a kid classic. To make it, chop and sauté 4 large carrots, 4 celery stalks (also chopped), and 1 diced onion with 2 tablespoons of olive oil and 4 cloves of minced garlic until fragrant. Add 5 cups of vegetable stock and a couple of bay leaves with your desired spices (I like to use onion powder, thyme, salt, and pepper.) Gently boil the ingredients for about 5 minutes, then stir in uncooked noodles and cook until the noodles are soft. Before serving, add more seasoning to reach desired flavor and remove the bay leaves. 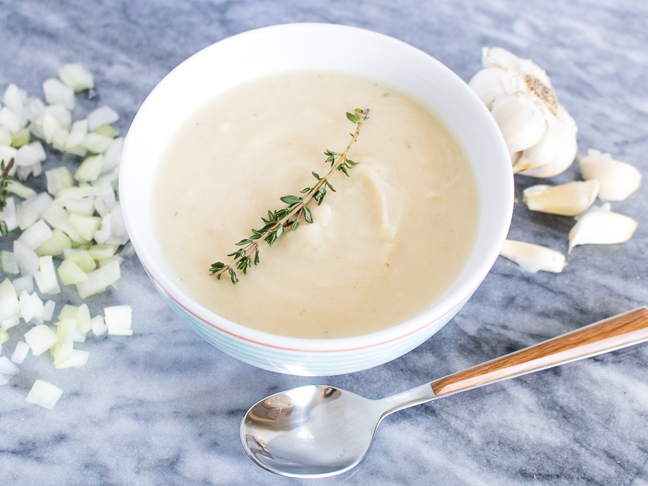 This cold-busting soup is a surefire favorite, even without the chicken. Trust me, you won’t miss it! Last but not least, this loaded potato veggie soup has a little bit of everything, and you can make it by simply throwing all your family’s favorite vegetables together. 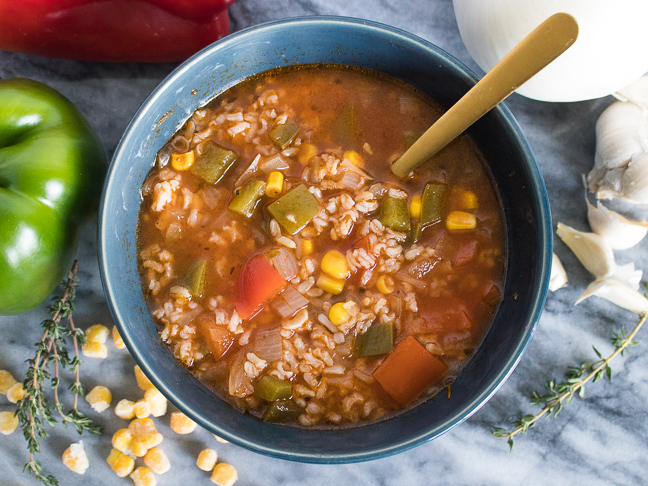 It’s a great way to use up ingredients you have in the house and make a hearty, filling soup that even veggie cautious kids can enjoy. To make it, sauté all of your desired vegetables (unless using tomatoes) in a large pot with olive oil and salt and pepper for about 7 minutes. I use 2 Yukon potatoes (skin on), 2 bell peppers, 2 large carrots, 3 celery stalks,1 onion, and 1 cup of peas in mine. Stir in 3 cloves of minced garlic, followed by 6 cups vegetable stock, 2 tablespoons of tomato paste, 1 14.5 oz. can of diced tomatoes (if using), 2 teaspoons Italian seasoning and 2 bay leaves. If using extra tomatoes add at this time. 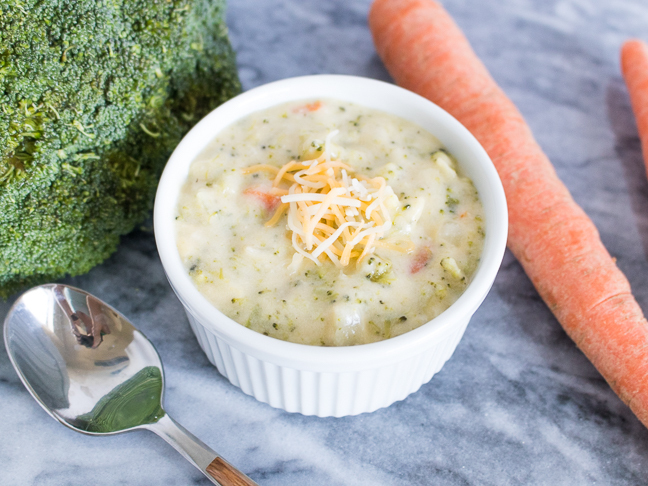 Cover and simmer for about 30 to 40 minutes until all vegetables are fork-tender. Season to taste and prepare to LOVE it.